Midland BT Go Jet low profile bluetooth intercom pair. 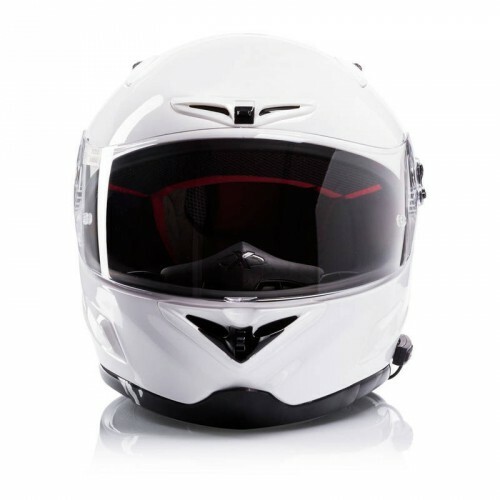 The discrete helmet mounted wireless intercom for when you just want an intercom. 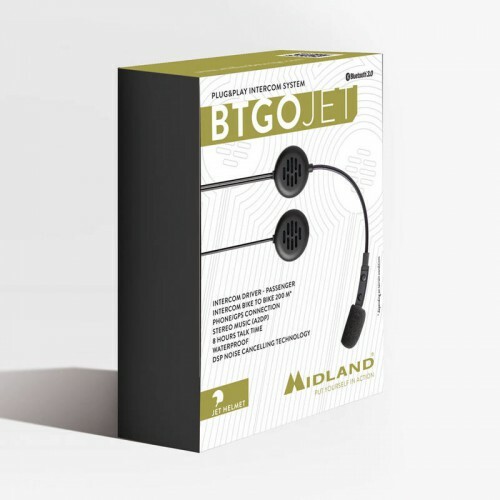 The Midland BT GO JET motorcycle intercom lets you listen to stereo music or GPS navigation voice commands, make and receive phone calls, and talk with your friends in full duplex intercom. It has a discrete slimline controller that mounts to your helmet easily and is more resistant to knocks than other intercoms. Set up is a breeze. 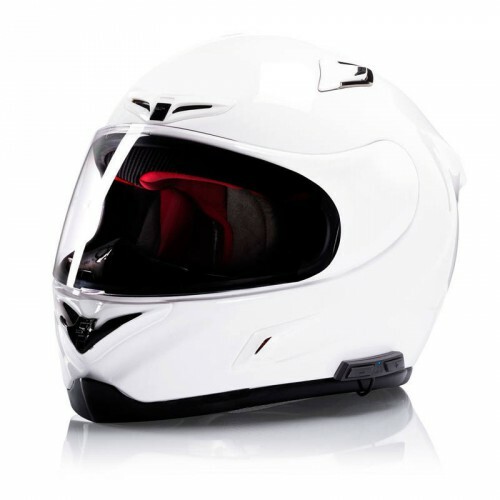 Ideal for the rider who either rides by themselves but needs to use cellphone, GPS, music etc. or the rider and pillion. 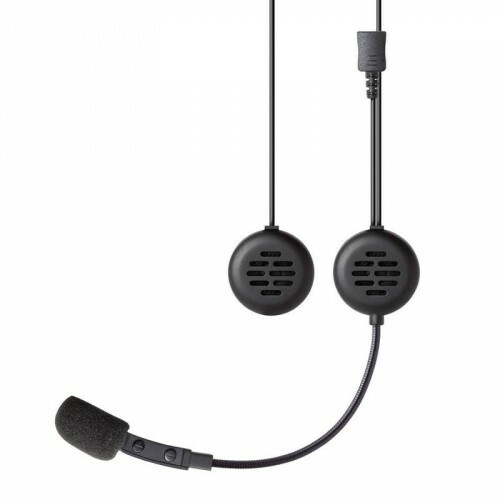 The BT Go Jet Bluetooth intercom for motorcycle helmets will even work with other brands using Midland's unique Talk 2 All feature. Bluetooth 3.0 with support for the following protocols: Headset profile, Hands Free Profile (HFP), A2DP, AVRCP. Suits both open face and full faced helmets.